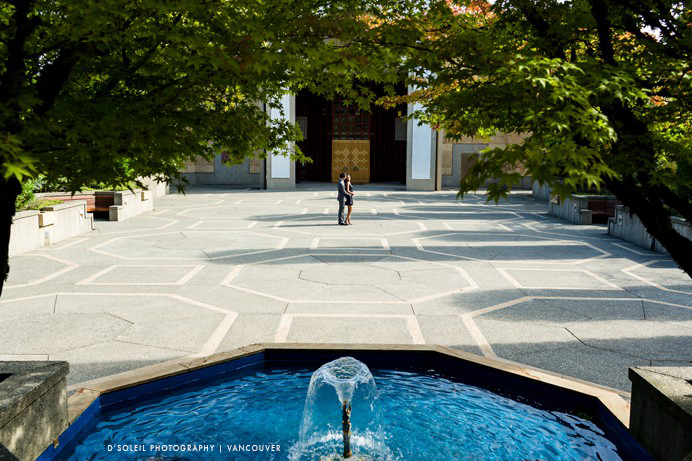 We met up on a warm and sunny October morning for Karishma + Faizal’s mosque engagement session at the Ismaili Centre Mosque in Burnaby. It was a quiet morning, so we had access to the best parts of the mosque. The outside garden was a quiet hidden oasis. The beautiful architectural shapes of square and octagon gave the space symmetry and divine meaning. The lush trees and landscaping shielded the tranquil mosque from the bustle of the city the lay outside its walls. 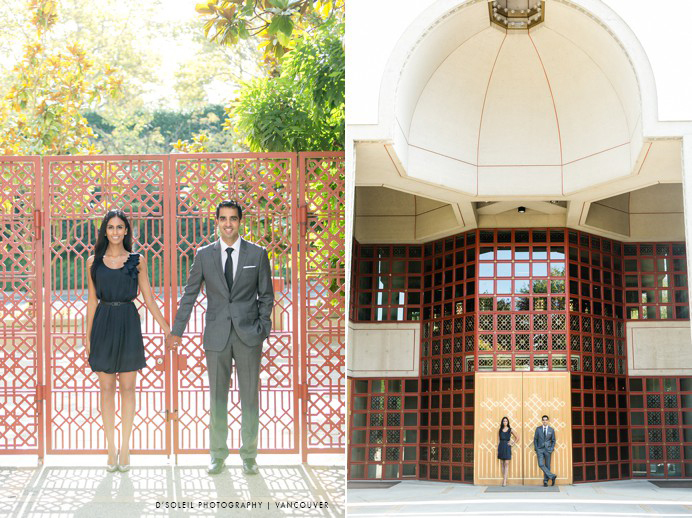 For Faizal and Karishma, the mosque had meaning and reverence. 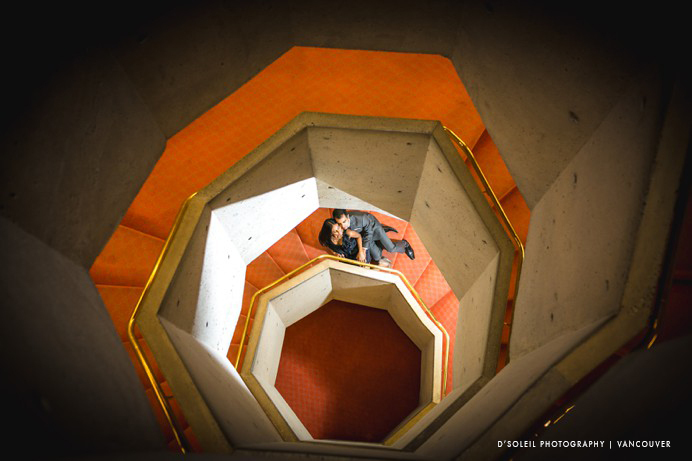 It is a part of who they are, and it was at this place of holiness, that we had their wedding engagement session. 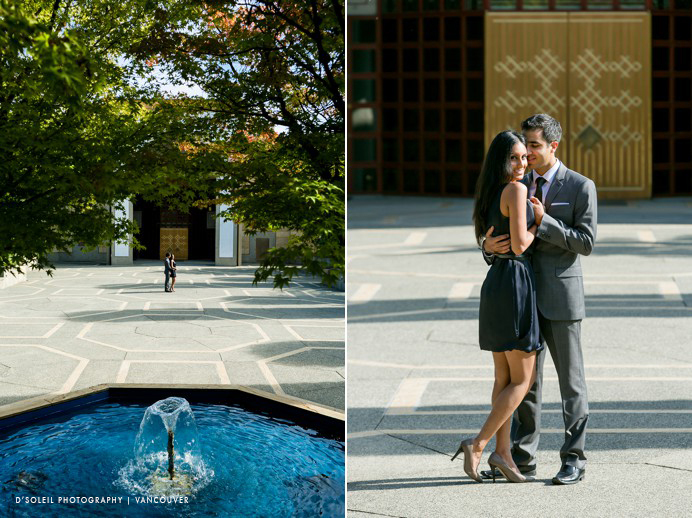 Throughout the session, the sun warmed the grounds as if summer chose to stick around for just a few more hours. 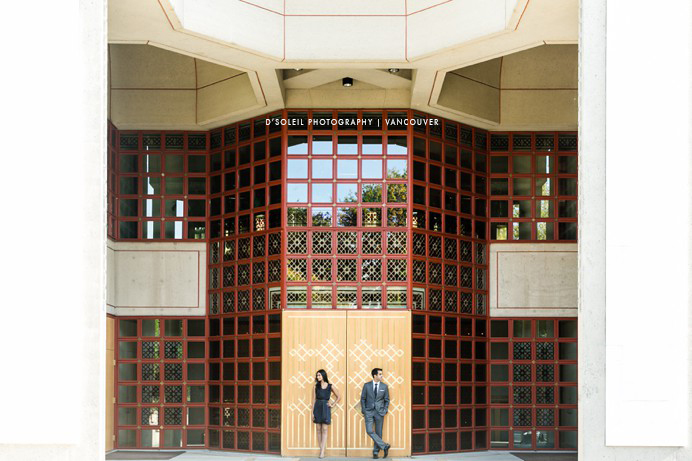 The symmetrical shapes of the Ismaili mosque gave balance to the engagement photos. 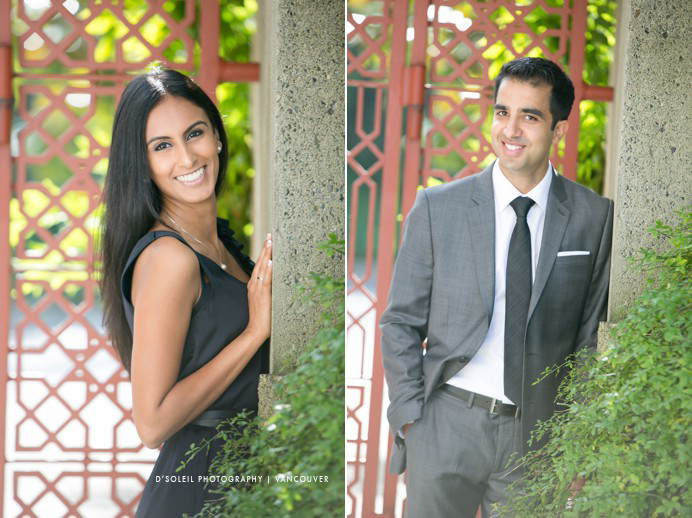 We especially liked the iron gate that let the sunlight through for a series of portraits. 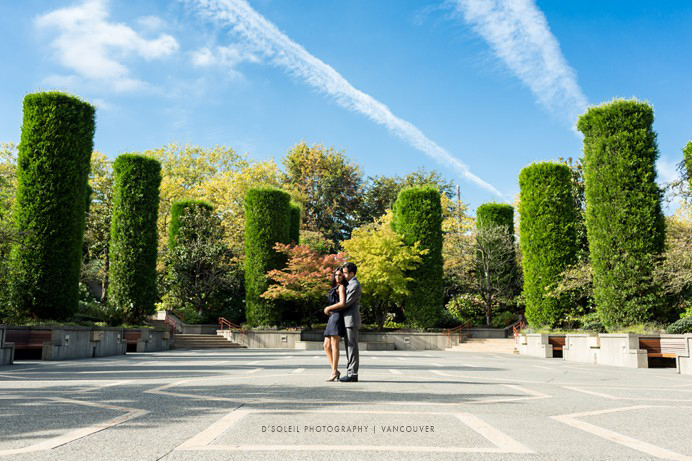 And how could they resist a little dance outdoors in such a beautiful space. Indoors, I used natural light to capture a few moments with them, as well as a dramatic photo on the stairs of the mosque.